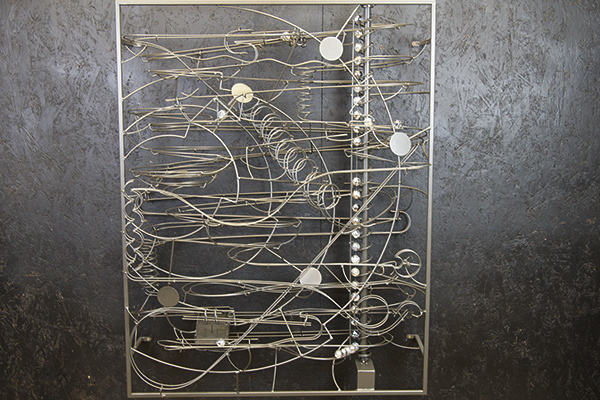 This six track sculpture features a new type of track switch, which evenly distributes the marbles from one track to three. It also incorporates a flat spiral, pacman tipping arm, loops, weighted switch, wavy track, zigzag, multiball tipping arm and plenty of twisting turning track to keep you entertained. It measures 850mm wide x 1100mm high x 300mm deep and is powder coated in Gun Metal Kinetic.